If you’re looking for some essential fitness equipment, make sure you consider the pieces that will offer you the best benefits for your time and money invested. Many women are devoting a lot of time and energy into each workout session, and if you’re not using the right equipment, you may not see the results that you’re after. Fortunately, once you know what equipment you’ll need, investing in these will be simple and straightforward and you can get on with your workouts. Whether you plan to workout in the comfort of your own home or you’re going to a gym, the following pieces of fitness equipment will be must-haves. The first piece of fitness equipment women will definitely want to consider is an exercise ball. An exercise ball is a versatile piece of equipment that will allow you to see top-notch results from your training. Many women often make the mistake of thinking that these will only target the core region, but this isn’t the case at all for the exercise ball is much more versatile. While they are excellent for hitting those abs and bringing out more muscle definition, they’re also good for performing a number of different exercises on such as dumbbell curls, shoulder presses, lateral raises, or hip raises. By doing so, you’ll not only work the muscles that you’re targeting with that exercise but also call the core into play as well. It’s really a great way to get dual-benefits from the exercises that you include in your routine. 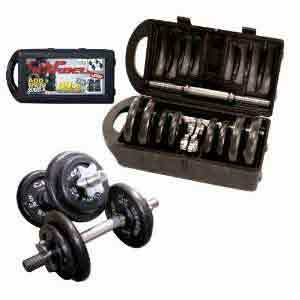 The second piece of fitness equipment that all women should consider is an exchangeable set of dumbbells. This is really going to give you plenty of different options with your workout program so that you are constantly making progress and preventing boredom. You can very easily target each and every muscle in the body with a set of adjustable dumbbells and by making sure they are adjustable, increase the weight as necessary to reflect on that muscle’s strength. If you are working out in a home environment then this equipment option will be ideal as well since it’ll take up much less space than having two or three different sets of dumbbells that are only a single weight. Another piece of weight lifting equipment that women should strongly consider investing in is a barbell and weight plates. This is going to be great for performing activities such as deadlifts and bent over rows, which are very essential for building up that lower body strength and maximizing your calorie burn. While barbell and weight plates are one of the more pricey pieces of women’s fitness equipment, if you can save up and get them in the future – or use them at the gym if you’re a member, then you will really enhance the benefits you get from your workout sessions. Finally, you can’t forget about having an option for your cardio training and you simply can’t go wrong with a skipping rope. For those who are doing home workouts, this piece of fitness equipment will be ideal since it’s easily stored away in a drawer and can be used virtually anywhere. Plus, in terms of overall calorie burn, skipping is top of the line. Ten minutes of straight skipping will burn just as many calories as intense running would, so work your way up to being able to do this straight and try and perform one to three sets of these a day. 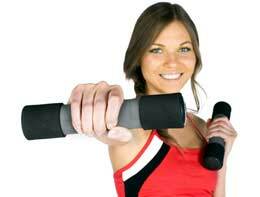 So there you have it, essential women’s fitness equipment that you should consider to maximize your workout sessions. All of these can be easily purchased and stored at home so you can get in a workout whenever it’s convenient for you. Enjoy your workouts! Reviews of fitness equipment ranging from home resistance training equipment to the latest and greatest elliptical trainers, recumbent bikes and treadmills. For the newbies out there, here is an overview of everything from women’s fitness equipment to all the machines in your local fitness center.